Hej! Welcome back to the DIS blog. 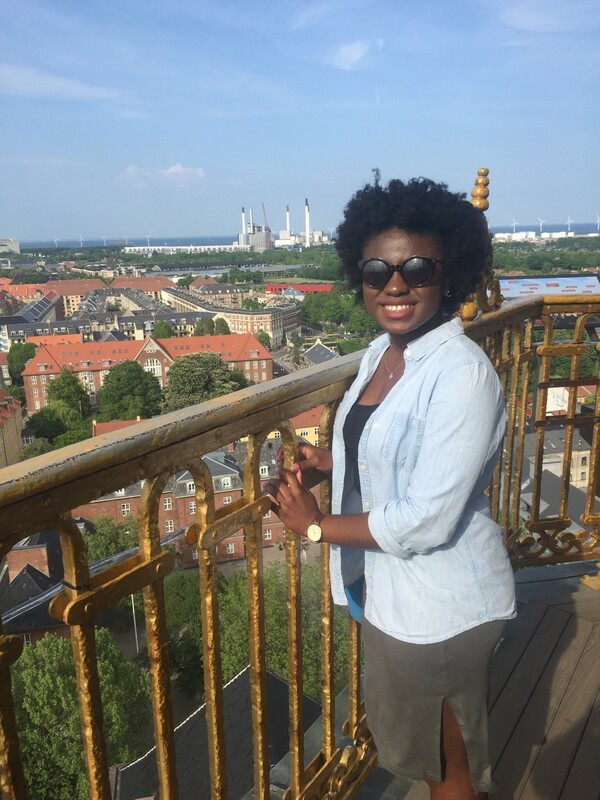 If you are a current student, I hope you have been enjoying your time in Denmark, and if you are yet to arrive, I hope you are getting very excited because this place is everything you are expecting and more. As I keep talking about all the things I have been up to, I realized that I forgot to mention the reason I am here at all. I am currently taking Human Health and Diseases: A Clinical Approach and let me tell you – this class has been nothing short of exceptional! I stumbled upon it while applying for the DIS program, as it was one of the few that I was compatible with. I am a Biochemistry major at my home institution and I have wanted to be a doctor for as long as I can remember. I was drawn to this class because it seemed to offer opportunities beyond what my university offers. My first day of class was exciting; I was in a new country with so much to offer and I was about to learn things that meant a lot to me. 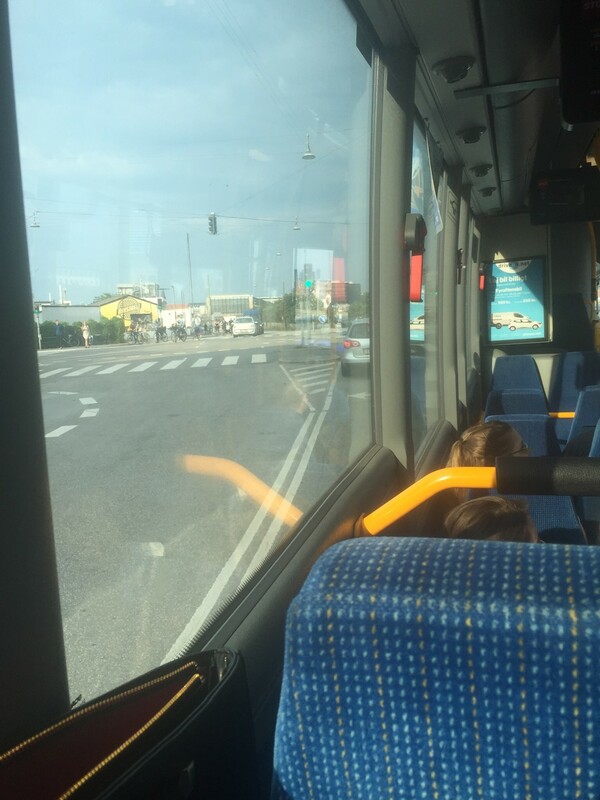 I met my classmates and CA at the DIS courtyard and we walked to the bus stop next to Tivoli. We quickly learned that this would be the fastest way to our classes every day and we would have to find our way back home at the end of the day (needless to say, I missed my stop coming back home. Thankfully my housemate Tyler is in the same class and he definitely has some sort or GPS wired in his brain). 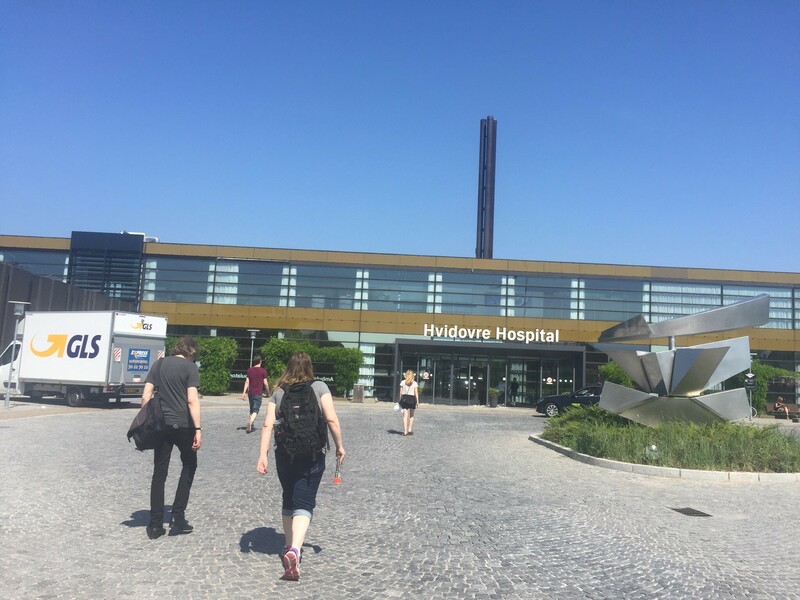 Anyway, we took the 1A bus to Hvidovre Hospital where we would have all of our classes and we met one of our instructors Adam. The cool thing about our class and many others is that we are taught by professionals who teach what they do. Adam, like our other instructors (Iben and Mads), is a doctor currently training in orthopedic surgery. He led us to our classroom which was in a very quiet, very warm section of the hospital and we got started right away. In my short time here I have gained a bounty of knowledge. Our lessons each day are based on the major systems in the body, their anatomy and physiology, and common diseases affecting them. I do not come from a very strong anatomy background, but our instructors have been so patient and understanding. Each day I am blown away by the fact that I am being taught by an actual doctor – so I know what I’m learning is legit! I have been challenged and enlightened continuously and I could not be happier that I chose to take this class. My most fulfilling experience of this trip so far actually happened in the classroom. Well not exactly, our class had a field study to the major hospital in the city. 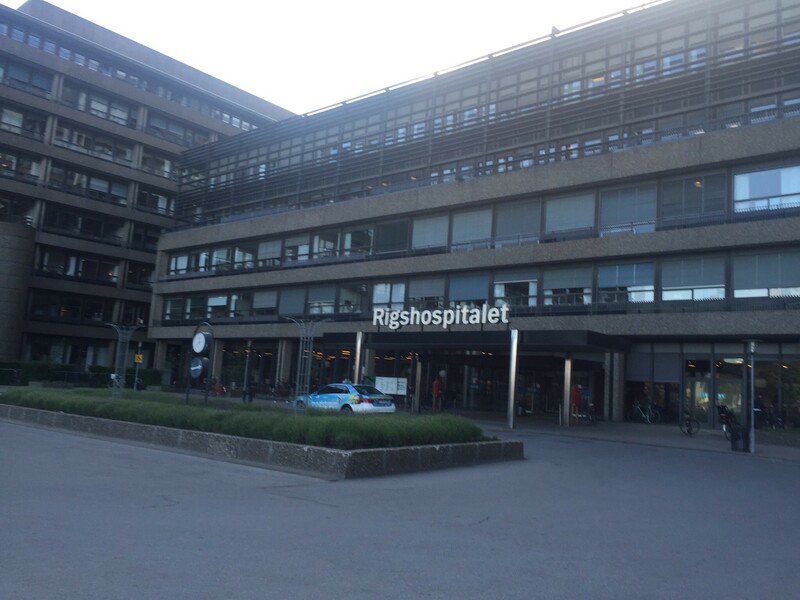 We met our CA on a beautiful summer day and walked for about 20 minutes to Rigshospitalet. It was a huge building and we joined the other section of our class for a fun day of practicing clinical medicine. We broke up into groups of about five and met different doctors who trained us in clinical techniques for about 40 minutes each. 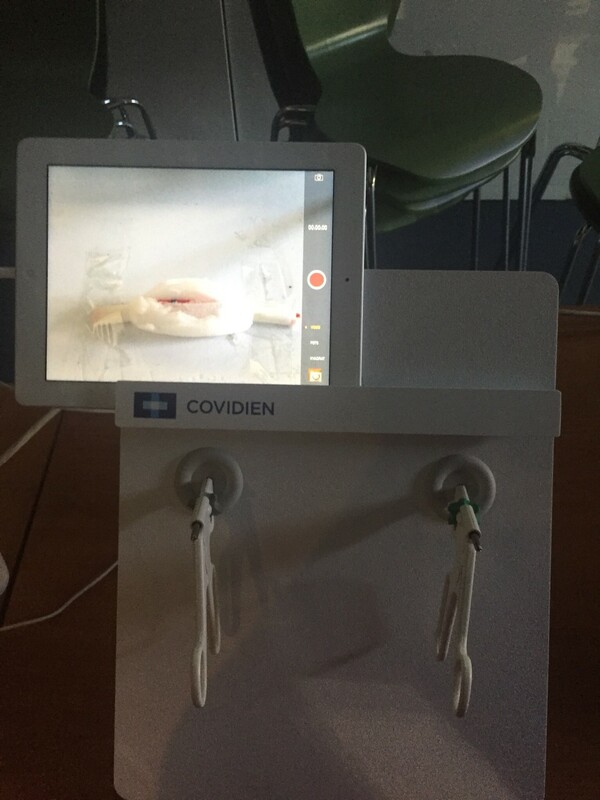 We learned skills such as suturing, setting an IV, laparoscopy (we simulated performing internal surgery!) and performing an ultrasound on major organs like the heart. The doctors were wonderful to work with, they guided us through the movements, praised us when we did well and offered constructive criticism when we needed it. I can now say that I have the skills of a medical intern (don’t quote me on that) … someone put a white coat on me and call me Dr. Ojo! This experience has been more than I expected. I have made wonderful friends who definitely help me get through those grueling three hour long lectures. I have learned so much about the human anatomy and have been able to build upon my previous knowledge. 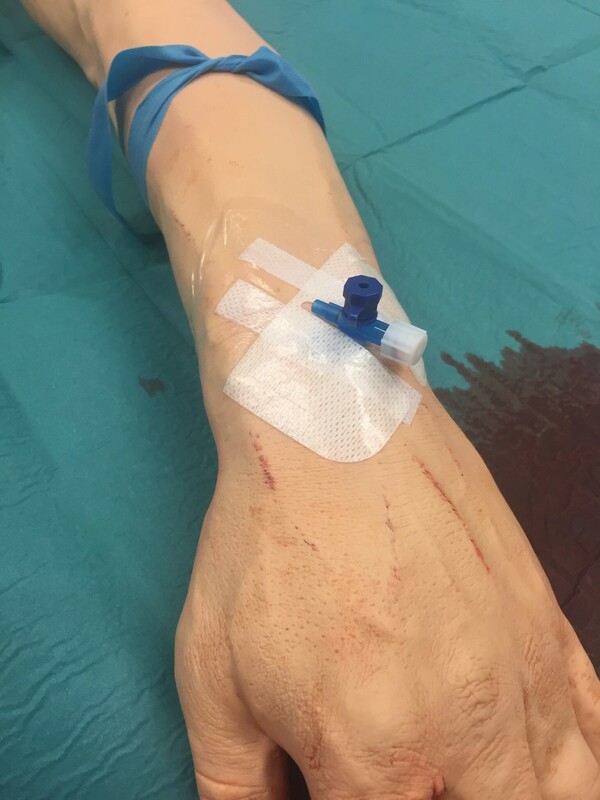 I know that I will be able to take everything I have learned over this period into my professional life, and in the short term I’m hoping it will earn me a few bonus points at the hospital I will work at this summer. I have loved every second of my class thus far, even the hour long bus commute in the stifling heat. 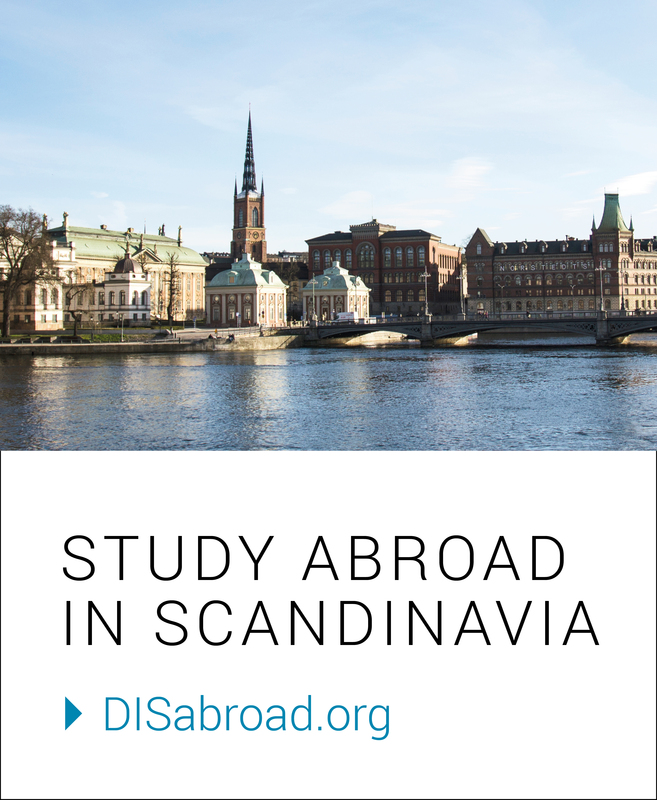 I have been able to see so much more of this country, learn more about its healthcare practices, and even gain more insight into what I want to do with my life. Unfortunately, I need to get back to studying for my test. As my summer here winds down, my coursework on the other hand is picking up. Until next time – hej hej!